Mammalian cells require oxygen and nutrients for their survival. Small organisms can rely on diffusion to fulfil their needs since the distance from gas and nutrients exchange to the inside of organisms is short enough. However, this is not an efficient way in multicellular organisms. They must recruit new blood vessels by vasculogenesis and angiogenesis. Vasculogenesis is the blood vessel formation by de novo production from vascular progenitor cells. 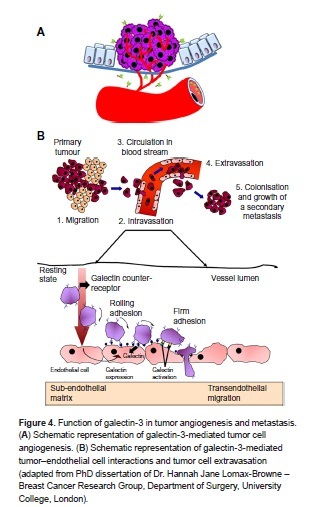 Angiogenesis is the recruitment and growth of new blood vessels from the existing vasculature, involved in migration, growth, and differentiation of endothelial cells. There are two types of angiogenesis: sprouting angiogenesis and intussusceptive angiogenesis. Sprouting angiogenesis is the growth of new blood vessels in sprouting formation, growing toward an angiogenic stimulus such as VEGF-A. Intussusceptive angiogenesis is a process of splitting or breaking down of a larger blood vessel into smaller ones. Angiogenesis plays an important role in menstrual cycle and pregnancy, and wound healing. However, these vessels also provide the principal route for tumour cells to circulate through the intravascular stream and proliferate at another site, also known as metastasis. Tumour cells can grow up to a size of 1-2mm2, but they cannot grow beyond a critical size or metastasize to another organ without blood vessels. Once a tumour grows to a certain size, it needs nutrients and oxygen from the blood to grow and spread. Therefore, tumour switches to an angiogenic phenotype and attracts surrounding blood vessels for further outgrowth of the tumour, regulated by pro- and anti-angiogenic factors. The process of tumour angiogenesis involves several sequential steps. First, the basement membrane in tissues is injured locally, resulting in immediate destruction and hypoxia. The receptors present on endothelial cells are activated by angiogenic growth factors such as VEGF. The endothelial cells line the blood vessels of existing cells. The extracellular matrix and the capillary basement membrane are then degraded by proteases, which are released from the activated endothelial cells. This allows the endothelial cells to invade into the matrix and proliferate and directly migrate through the matrix. A lumen is created by polarizing the migrating endothelial cells, and an immature blood vessel is formed. The vessels are stabilized by recruiting mural cells and generating extracellular matrix. This process is controlled by positive and negative regulators, balancing the level of ongoing angiogenesis. Unlike normal vessels, tumour vessels are structurally and functionally abnormal. Tumour vessels have a detached (or an absent) pericyte and basement membrane with the smaller diameter of the vessel. The vascular density is heterogeneous, and it has high permeability to large molecules. The pressure of microvascular and interstitial fluid is almost the same. Tumour vasculature containing tortuous and dilated vessels is highly disorganized, possibly due to the imbalance of angiogenic regulators such as VEGF and angiopoietins. These abnormalities contribute to a chaotic and variable tumour blood flow, leading to acidic and hypoxic regions in tumours. These conditions would decrease the therapeutic effectiveness, modulating the production of angiogenic stimulators and inhibitors, and select for malignant and metastatic cancer cells. The overexpression of VEGF can also contribute to disease. Solid malignant cancers cannot grow beyond a certain size without blood supply, but cancers that can express VEGF are able to grow and spread. Angiogenic inhibitors are anti-cancer therapy that inhibits the growth of blood vessels instead of killing tumour cells. These become more effective in some cancers when combined with additional therapies such as chemotherapy. Five classes of angiogenic antagonists are defined in clinical trials: inhibitors of proteases, migration and proliferation of endothelial cells, angiogenic growth factors, matrix proteins on the endothelial cell surface (such as integrins, coppers), and inhibitors with unique mechanisms. There are also naturally occurring proteins that can inhibit angiogenesis: angiostatin, endostatin, interferon, platelet factor 4, thorombospondin, prolactin 16kd fragment, and tissue inhibitor of metalloproteinase-1, -2, and -3. Angiostatin induces apoptosis in endothelial cells and tumour cells, inhibiting proliferation and migration. The use of most anti-cancer reagents that target rapidly dividing cells brings severe adverse effects such as immunosuppression, intestinal problems, and hair loss with only fewer side effects. The best way of limiting tumour angiogenesis is currently known as blockade of the vascular endothelial growth factor (VEGF) pathway. 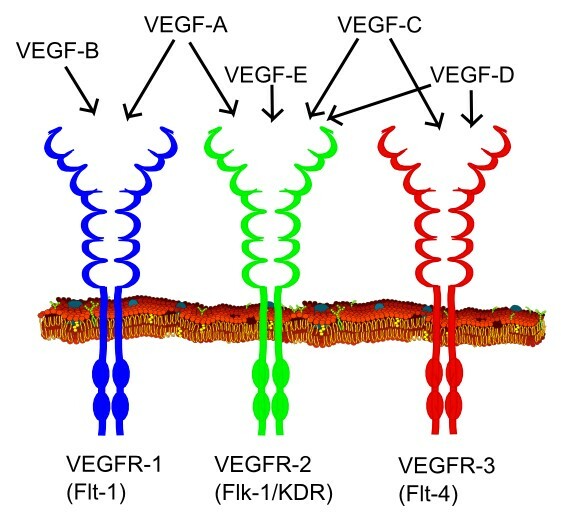 Soluble VEGF receptors reduce the angiogenic activity of VEGF by binding VEGF. However, several studies have shown some limitations of VEGF blockade, damaging healthy vessels and resulting in hemorrhagic and thrombotic events. The angiogenesis inhibitors that target VEGF or other angiogenesis pathways are being studied and tested in clinical trials. Some of them have already been approved by the FDA and are available for use. Some clinical trials have been shown a positive outcome in the use of anti-angiogenic drugs, but long-term survival benefits have not been defined yet, which can be further studied. Ever been jealous of a fish? Well, there’s a first time for everything. What you never knew: The gut microbiome and your mental health.